Here’s a bonus puzzle inspired by a recent Christmas purchase. We named him Philbert, for some reason. As you can see, Philbert has two cubes in his stomach (dice, basically), each of which has a digit on each face. 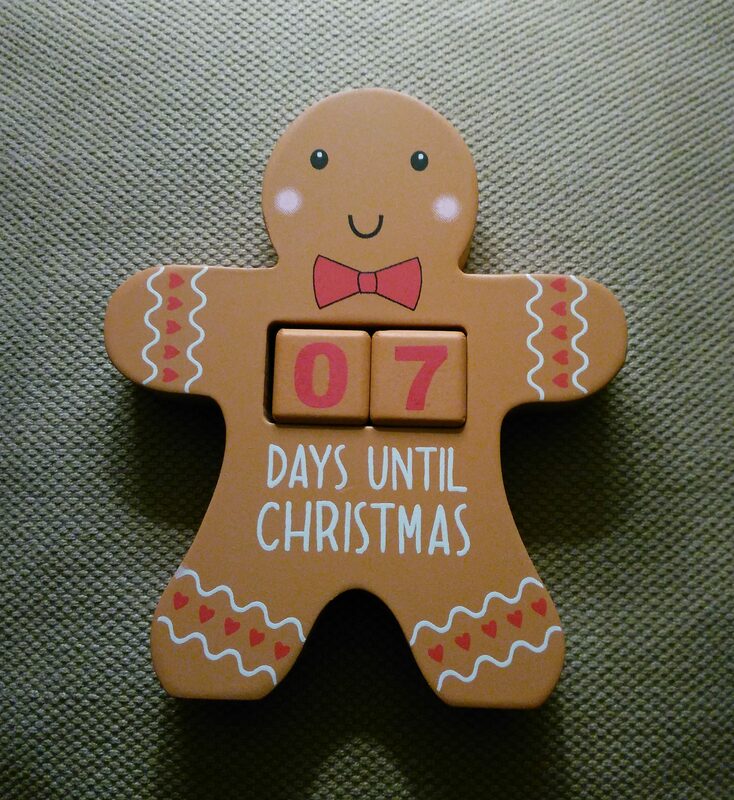 By rearranging the dice, you can count the days until Christmas. 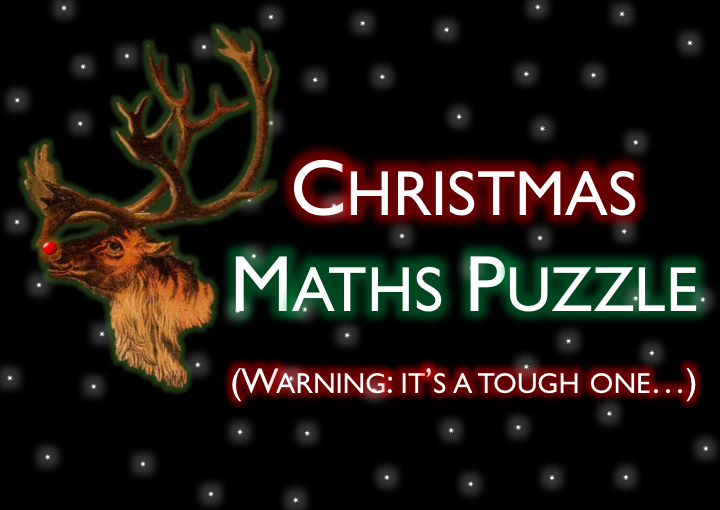 This entry was posted in Maths, Puzzles and tagged Christmas, Christmaths, Maths, Puzzle, Puzzles on December 21, 2017 by thomas. This entry was posted in Maths, Puzzles and tagged advent calendar, Christmas, Christmaths, Maths, Puzzle, Puzzles, The Indisputable Existence of Santa Claus on December 18, 2017 by thomas. OK, so I’ve come out of my long period of digital aestivation and returned to my blog and to various social media platforms. 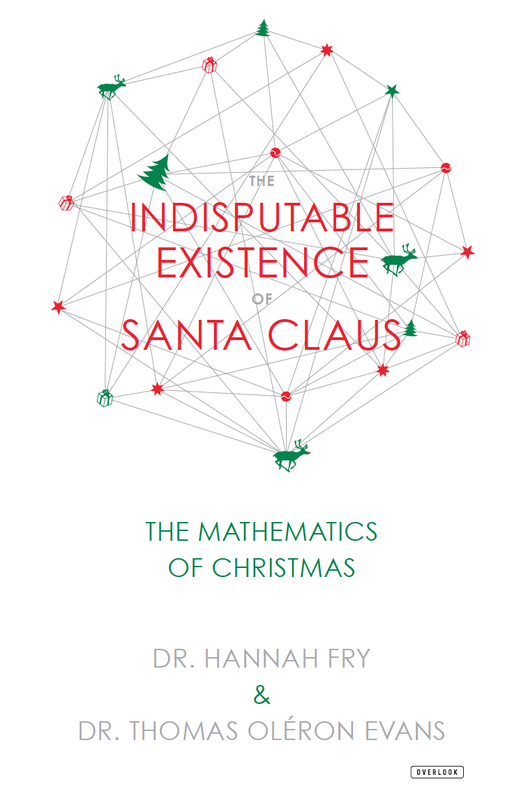 Rather excitingly, a new version of Hannah and my Christmas maths book is out today! There’s a new chapter about cake, so that’s nice. There’s also a US version this year, in which we spell things differently and provide extra info on bizarre British festive traditions (though how they get through the day without detonating a small explosive in a cardboard tube and fighting over a pack of mini-screwdrivers, I have no idea). 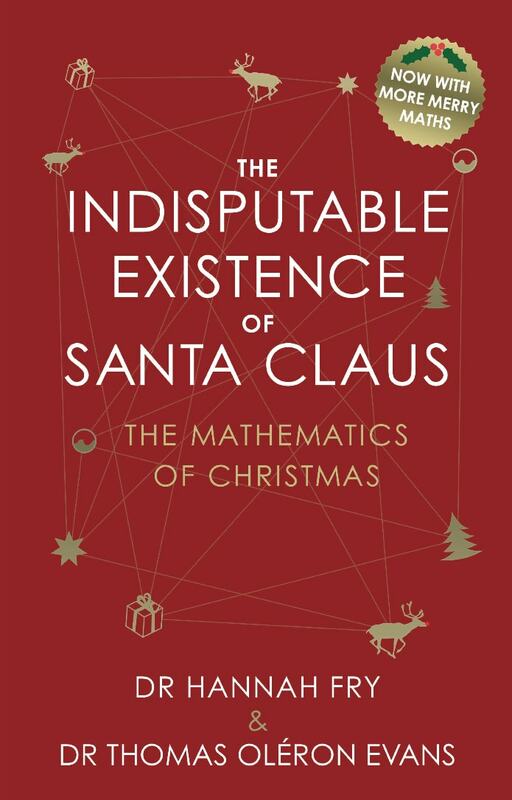 This entry was posted in Maths, Writing and tagged Christmas, Christmaths, Maths, Science Communication, The Indisputable Existence of Santa Claus, Writing on November 16, 2017 by thomas. 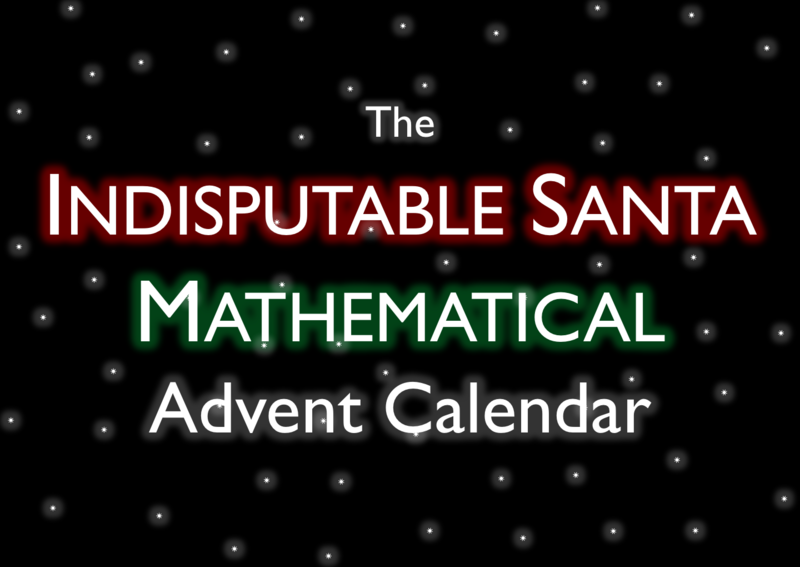 Happy Boxing Day from The Indisputable Santa Mathematical Advent Calendar! 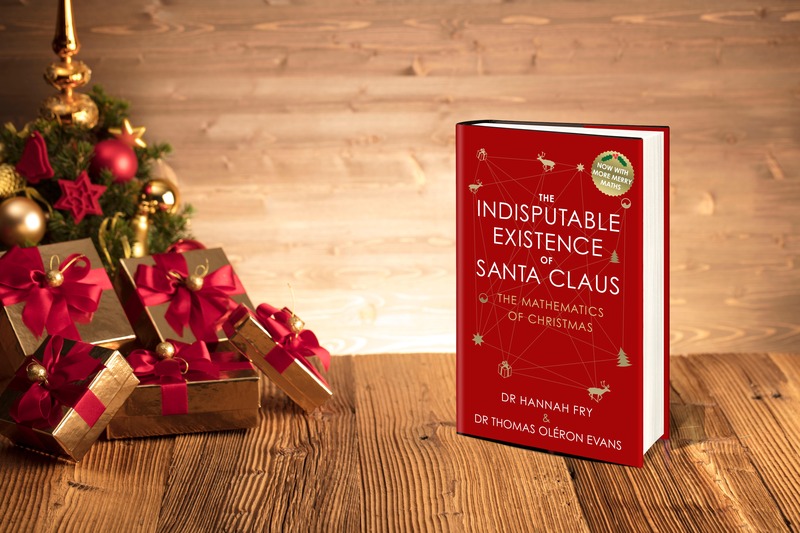 Throughout the month, to accompany the release of our book on the Mathematics of Christmas, Hannah Fry & I were tweeting out Christmathsy bits and pieces, one a day, advent calendar style. A final post, to provide the solution to Friday’s puzzle. This entry was posted in Maths, Puzzles and tagged advent calendar, Christmas, Christmaths, Maths, Puzzle, Puzzles, Solution, The Indisputable Existence of Santa Claus on December 26, 2016 by thomas. 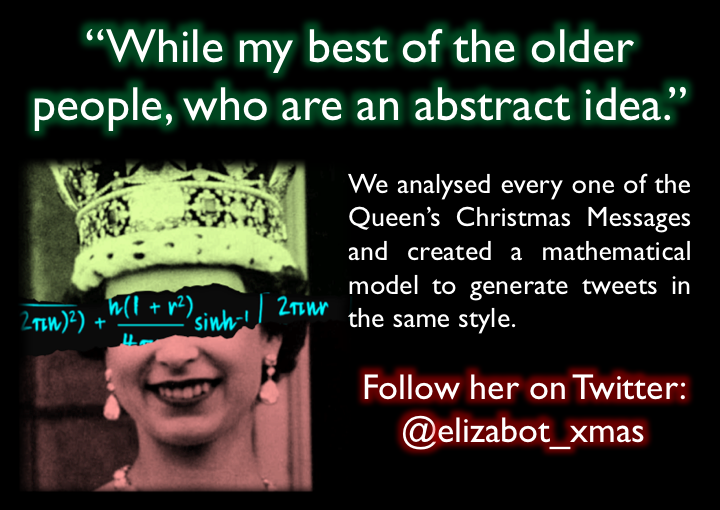 Merry Christmas from The Indisputable Santa Mathematical Advent Calendar! This entry was posted in Maths, Puzzles and tagged advent calendar, Christmas, Christmaths, Maths, Puzzle, Puzzles, Solution, The Indisputable Existence of Santa Claus on December 25, 2016 by thomas. But, wait a minute… Which one is which? 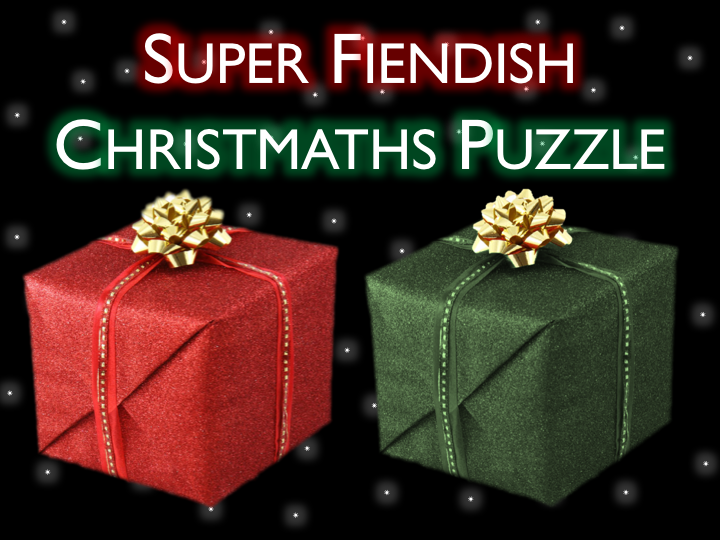 The solution to this puzzle will be posted tomorrow (Christmas!) 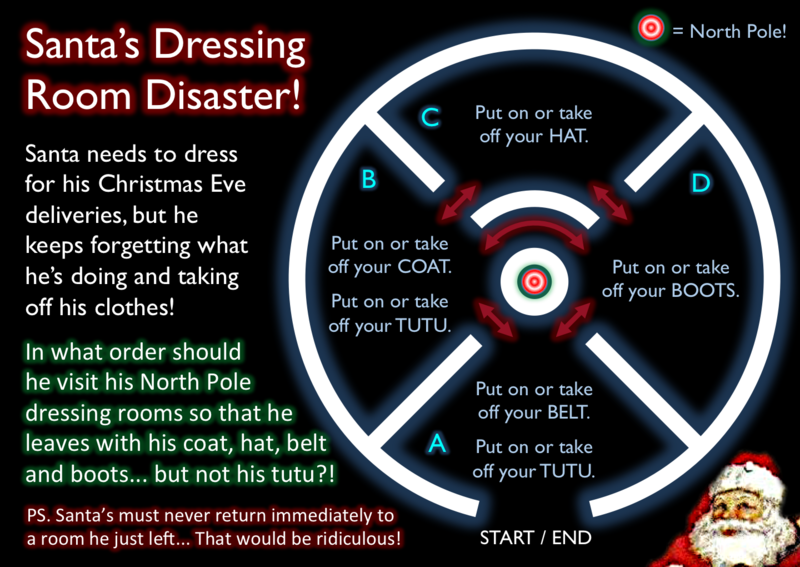 with the solution to yesterday’s Dressing Room Disaster puzzles to follow on Boxing Day (mainly because the explanation of the solution is taking a while to write up!). * I was interested to learn that “Donner and Blitzen” were actually named “Dunder and Blixen” (or other variations thereof) in early versions of the text. 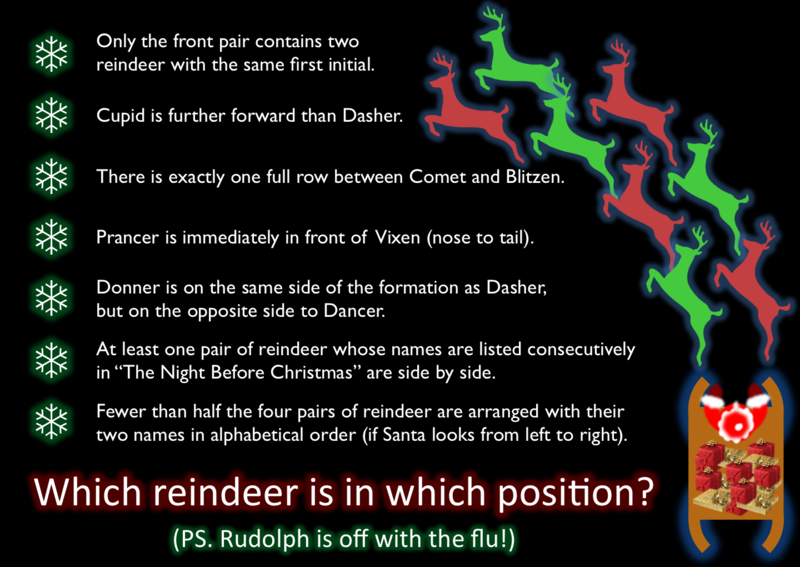 I suppose the versions in Rudolph the Red-Nosed Reindeer must have ultimately overwhelmed these alternatives. This entry was posted in Maths, Puzzles and tagged advent calendar, Christmas, Christmaths, Maths, Puzzle, Puzzles, The Indisputable Existence of Santa Claus on December 24, 2016 by thomas. Each time you enter a room, you MUST follow all of the instructions written there. For extra credit, try to find Santa’s shortest possible path in each case. And for extra extra credit, prove that your path really is the shortest. Answers via the comments or on Twitter. All correct answers will be rewarded with deep respect and warm Christmas wishes. The answers for these two puzzles won’t be available until Boxing Day, so you have an extra couple of days to think about them. 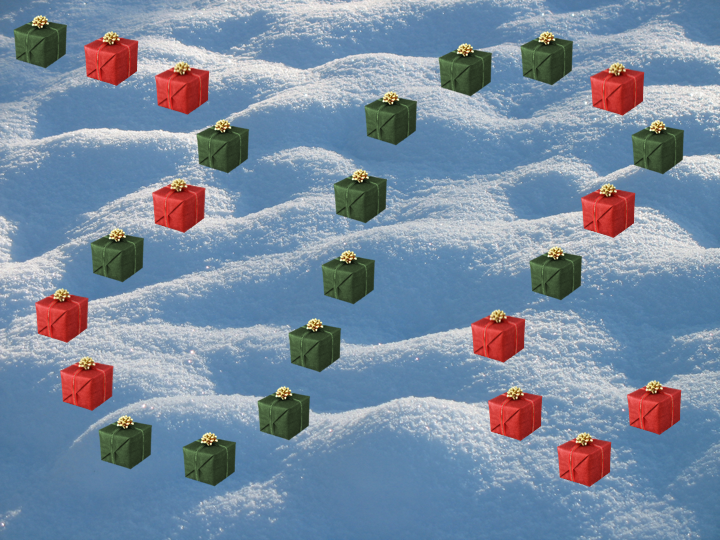 And join us tomorrow for the final day of the Impossible Santa Mathematical Advent Calendar! This entry was posted in Maths, Puzzles and tagged advent calendar, Christmas, Christmaths, Maths, Puzzle, Puzzles, The Indisputable Existence of Santa Claus on December 23, 2016 by thomas.